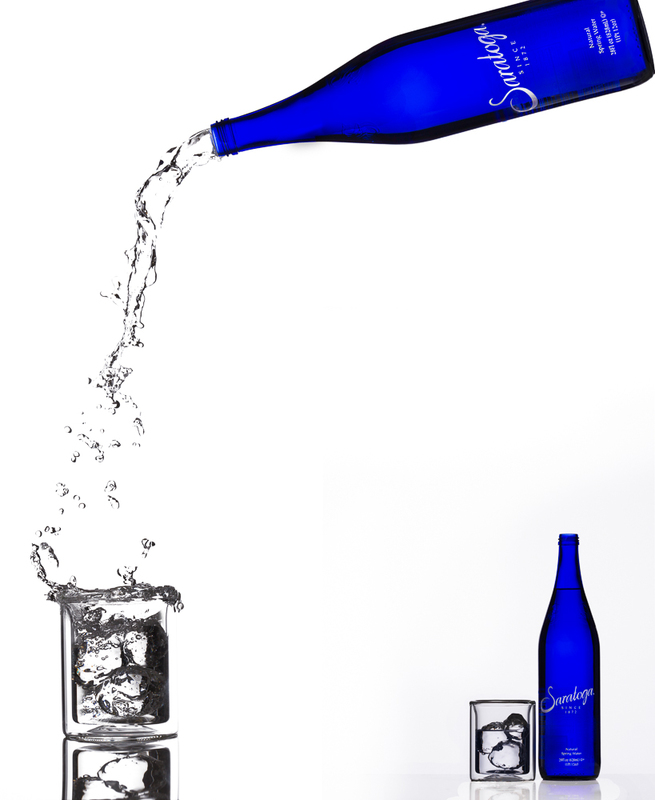 Saratoga Spring Water – Splash, Liquid Photography – Chautauqua County N.Y.
A composite put together in Photoshop of spring water pouring into a glass on white. High speed flash used to stop the motion of the water and capture it as a split second rather than a soft flowing bit of water. Area left in the scene to drop marketing type. Categories : Beverage, Chautauqua County N.Y., Chautauqua N.Y., high speed flash, Jamestown N.Y., Liquid, motion stopping, photoshop, Photoshop Composite, Retouching, Small Product Photography, Splash photography, Table top photography, Westfield N.Y.